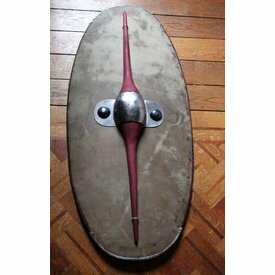 This torque is a replica of the well known Snettisham torque. 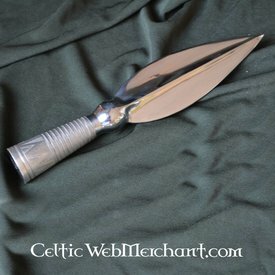 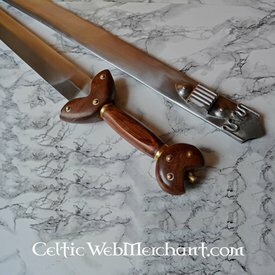 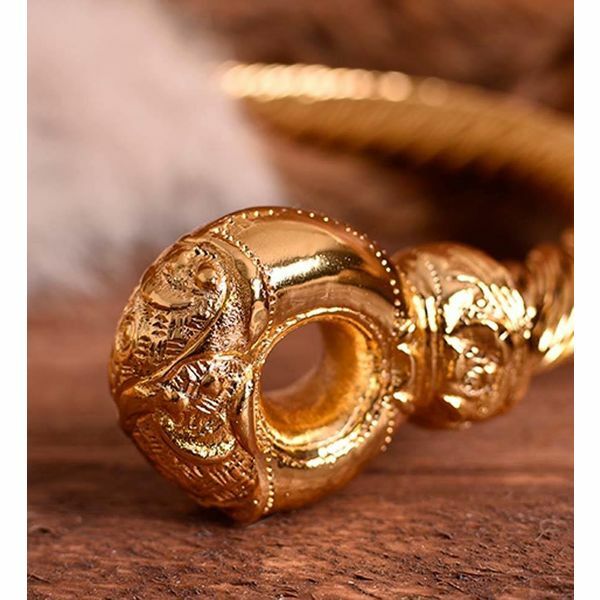 The original was probably made around 75 AD and was found in the territory of the powerful tribe of the Iceni, of which Boudicca was queen several generations later. 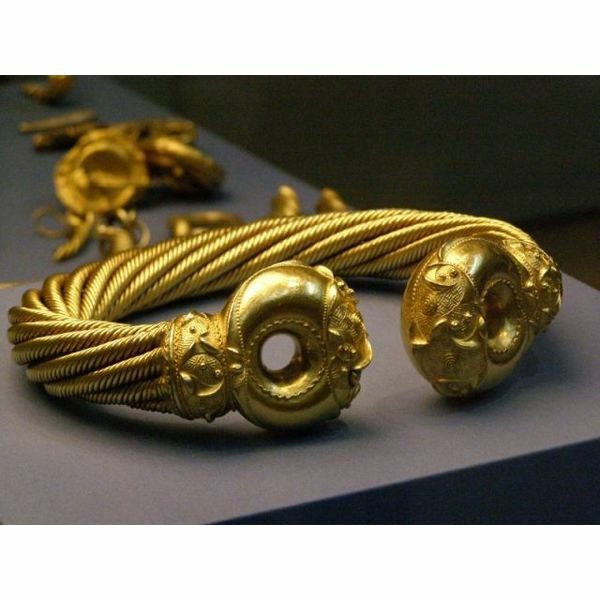 It is currently in the collection of the British Museum. 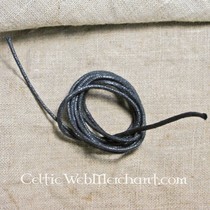 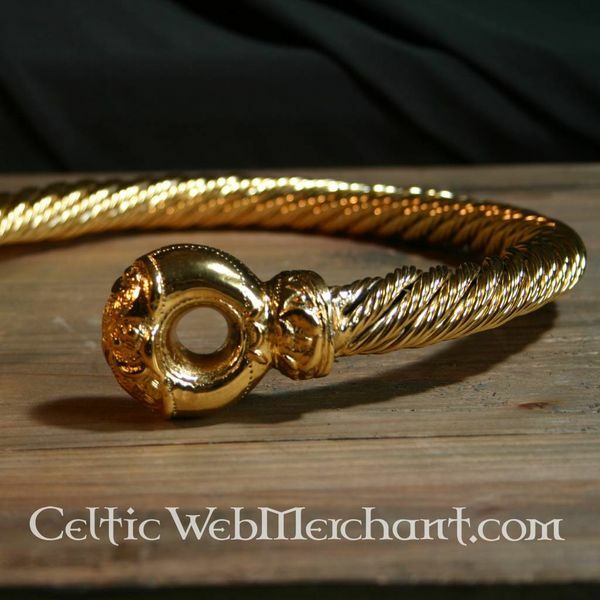 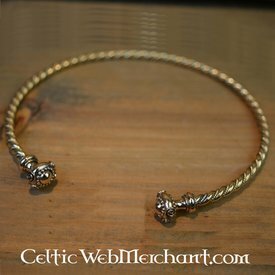 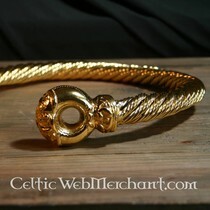 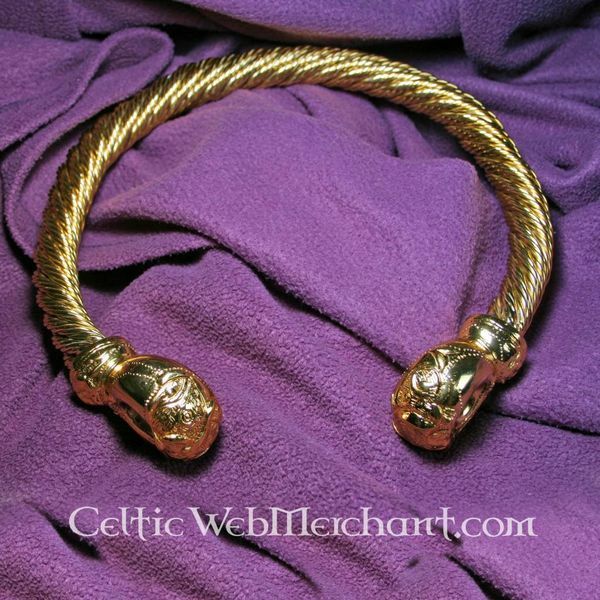 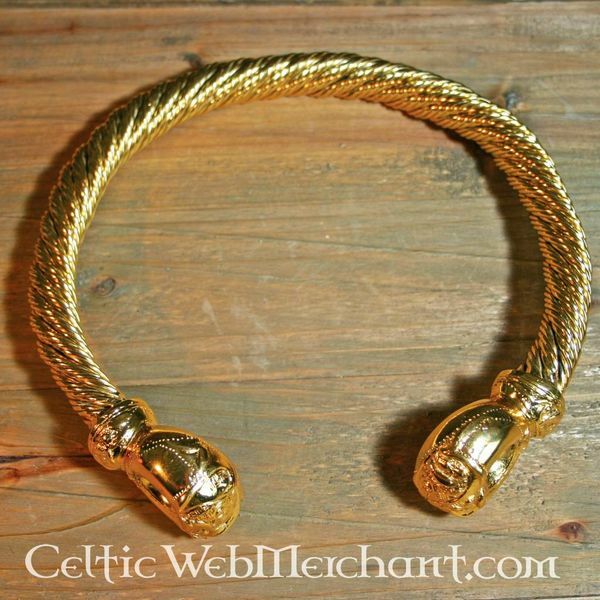 This torc is fully handmade and twisted and reproduced in all its details. 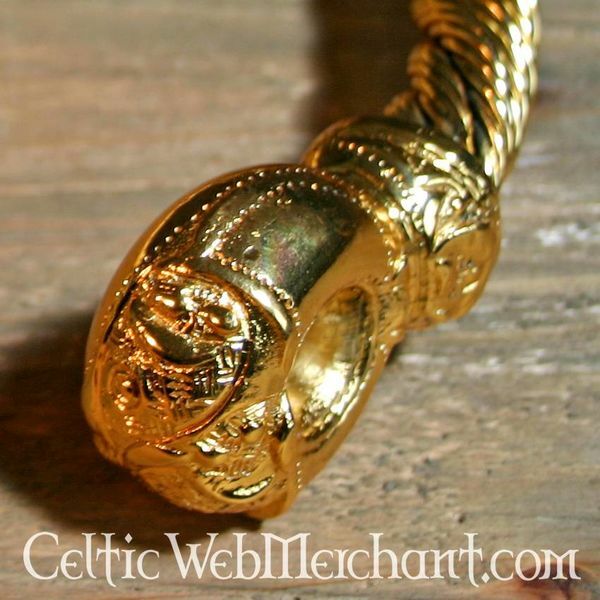 It is made of brass, which is covered with gold. 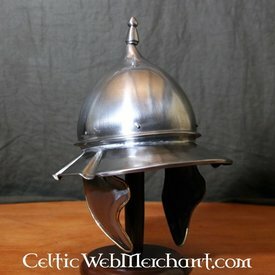 It weighs 1,2 kgs and has a width of 23 cm.